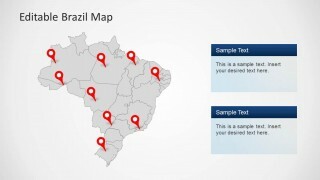 Editable Brazil Map Template for PowerPoint is a presentation template containing useful Brazil maps for PowerPoint presentations with Brazilian states that you can customize and edit using PowerPoint shapes. 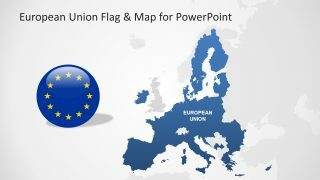 The presentation contains geographical shapes with the outline and political boundaries of each state. 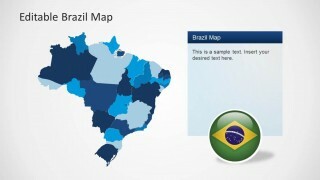 The shapes provides Brazil flag in the form of an icon and in the form of a flag PowerPoint object. 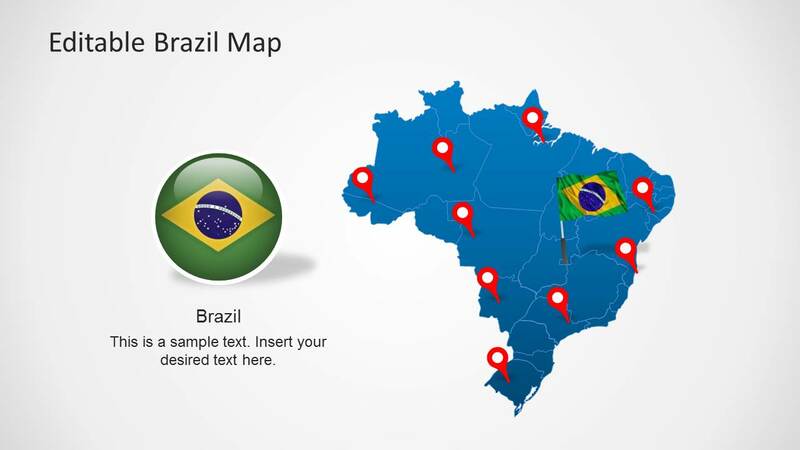 You can use Brazil’s national colors and flag in your presentation, and combine it with GPS marking icons. 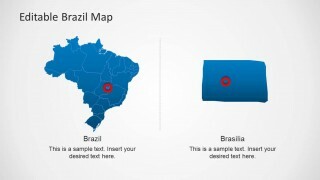 Brazil is located in South America (being the biggest country of the continent). 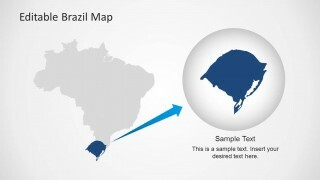 It has limiting borders with the Atlantic Ocean, Uruguay, Argentina , Paraguay , Bolivia, Peru, Venezuela, Colombia, Guyana, Suriname and the French overseas region of French Guiana. 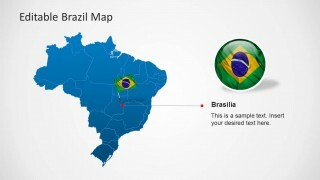 Brazil’s national tongue is the Portuguese. 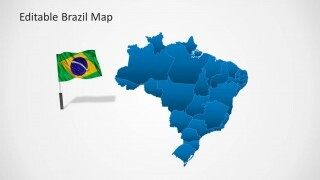 Brazil was once part of the United Kingdom of Portugal which became a presidential republic in 1889. 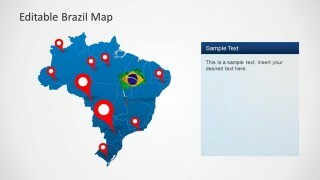 The map is presented with different backgrounds and contains a plain shape (separated in states) that allows the user to change the map colors. 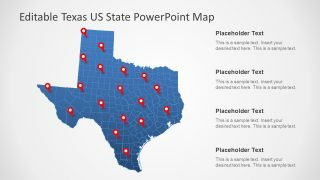 You can download this PowerPoint template and manipulate states as individual objects, that can be then used independently. 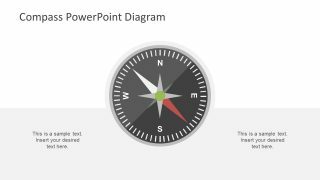 The presentation provides highlight frames and icons for creating references to specific locations across the map. 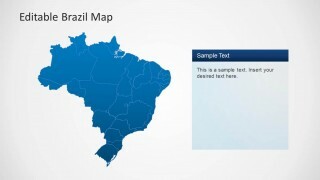 Text Boxes are provided across the slides as a sidebar columns or below the main map shape. 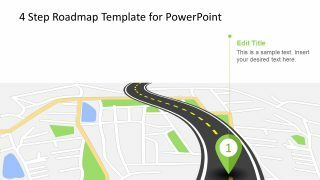 This text boxes match the presentation layout and palette giving the flexibility of adding custom text.